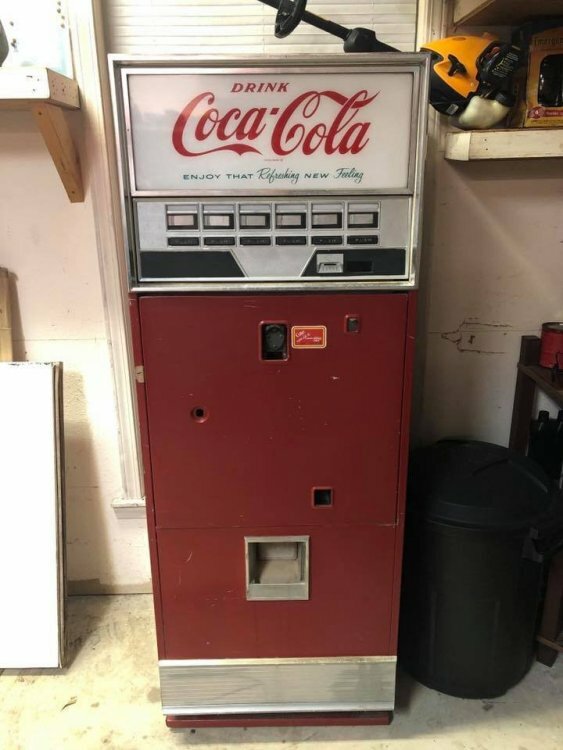 I’ve recently picked up what I think is an early 60’s (based on advertising and the coin-mech only accepts dimes) Westinghouse WB-78 Coke machine. The compressor is cooked, but it still holds pressure. Which is better...replace the whole deck or replace the compressor? Is there a certain model deck that will fit? I’ve seen a few refurbished Dixie Narco decks for about $325 shipped, but wasn’t sure if it’s worth putting a different type of deck in there as I’m sure I’ll have to at least modify the condenser housing. You will need to remove the original cooling system from the machine and have it rebuilt. No other decks will fit in it. 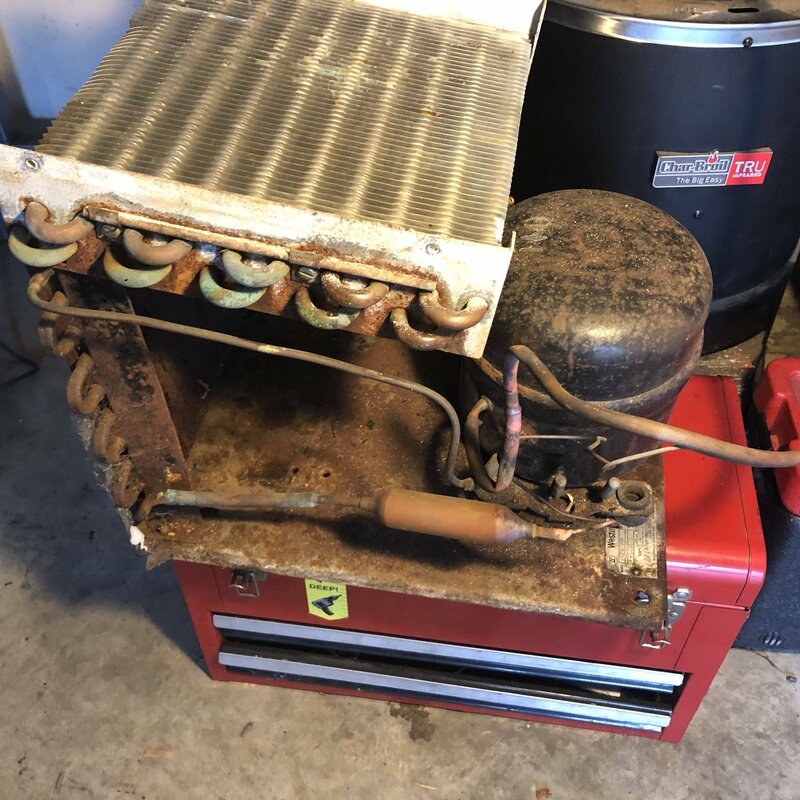 You will need a new compressor, condenser fan, filter/drier, and a Schrader valve. Make careful notes of how the wiring is connnected and routed and take lots of pictures so you know how the unit will be reinstalled. I was able to remove it fairly easily and took pictures along the way. I imagine having someone rebuild this unit is going to cost upwards of $500 or more; I'm wondering if it's even worth it. The machine does vend using dimes...all columns vend except the last one, but I assume it's just a bent mechanism because the solenoid works. The paint is okay on the front, but one side has some scratches (no dents or rot). If I were to rebuild the unit, what's something like this worth? Those guys are the collectors and have a lot of knowledge about older machines like yours, whereas we are operators and techs, and are only familiar with the newer stuff that is still in commercial service. Heck, I think that the most experienced guy on here only goes back to 1985. Understood; thanks for the tip!